"A community where we're nice to everyone? It might catch on." The word ‘friendly’ in the term “dementia friendly communities” defies definition. At the very worst, it has a twang of “does he take sugar?” about it. The reasonable question which most of us have thought about is why focus on people with dementia? This from a commissioner’s perspective is a worthy one – why not “depression friendly communities” or “first episode psychosis friendly communities”? It is indeed curious how much friendliness can be compatible with division. Take for example the historic segregation in Cape Town, South Africa. 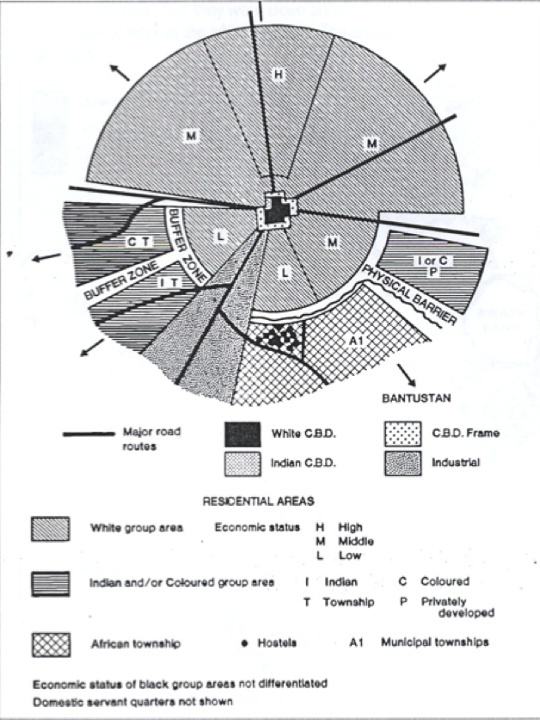 It is argued that racial segregation was facilitated by spatial urban planning which imposed natural boundaries such that the centre could be a ‘white only’ zone. The whole history of how segregation was achieved this way is described succinctly in an article. It’s possible, though I do not know the precise findings, that people who are of the same colour tend to live together. This has of course been the subject of many previous discussions, often heated, about whether we truly live in a ‘multicultural society’. Even beyond this traditional segregation, even in a society which allegedly has accepted differences, as say defined by the protected characteristics under equality legislation, it is possible for tacit division still to persist. For example, a blogpost recently boasted of destinations which were particularly friendly to the ‘young black professional‘. Where am I heading with this? I am simply saying that cultural divisions can exist even if protection is enforced within the law. I have referred to this as ‘moral rights’ because for legal rights to exist they need to be part of the law (either common law or in statute) first. Racial discrimination was abhorrent, many feel, before formally legislated upon. This has all come to the fore with the issue of ‘rights based approaches’; that everyone has legal human rights, which protect dignity, and right to a private life, and protect from discrimination. The problem with any law is that the law is only as effective as how well it is drafted, or how it is enforced. For example, the lack of efficacy of the national minimum wage has in large part been to lack of effective enforcement, it has been argued. I feel ‘standards’ for dementia friendly communities are helpful, such as those from the Alzheimer’s Society, otherwise the term itself is open to abuse. But it is important to be clear about what a dementia friendly community is definitely. Lack of inclusion of an obvious issue in this quasi-legal framework could render it seemingly unimportant. And indeed it is currently a “right”, under the UN Convention for Rights of People with Disabilities, for people with disabilities (however defined) to have proper democratic representation. For example, article 29 defines a right to be included in political and public life, including an encouragement for “participation in public affairs”. Should not a World Dementia Council have included from the start a person living with dementia who was democratically nominated onto that panel? Surely that comes under dementia friendly communities? The alternative is that we do treat everyone equally, with kindness.